Leap Life solution simplifies and streamlines the process of finding the right life insurance, and users can be matched instantly with a policy that perfectly fits their health history and financial situation. We're the only company in the U.S. to offer end-to-end online applications with multiple life insurance carriers. You have the opportunity to choose from the country's best life insurers, including AIG, Prudential, Pacific Life, Mutual of Omaha, SBLI, Transamerica Life, Assurity, and more. Founded in 2017, Leap Life is a licensed life insurance agency based in San Francisco, California. All of these companies have Excellent or Superior financial strength ratings from AM Best for financial stability. Life insurance from a financially sound company is vital because that company needs to be in business to pay benefits to the beneficiaries of policyholders for years to come. Quotes and applications are processed online or over the phone, with life insurance plans available for people ages 18 to 85. You may qualify to purchase $100,000 to $5,000,000 in coverage for a 10-, 15-, 20-, or 30-year term. All policies are renewable or convertible before or at the end of the term. Additionally, you can modify or cancel your life insurance policy at any time without paying a penalty. Artificial intelligence (AI) is a computerized gathering and analysis of data to make a decision. According to the National Association of Insurance Commissioners (NAIC), insurance companies are implementing artificial intelligence throughout the entire business, from underwriting to claims. Leap Life is also utilizing this technology to better serve customers by providing life insurance options explicitly meeting their needs. You don’t have to sort through life insurance quotes for policies you don’t qualify for, the artificial intelligence does that for you. Leap Life’s sophisticated artificial intelligence platform takes the information you provide and checks it against the partner life insurance companies’ underwriting guidelines. Leap Life’s system gives you appropriate policies at the right price without wasting time considering options that ultimately will not work for you. Assurity has been selling life, disability, and critical illness insurance since 1890. As a mutual insurance company, Assurity can focus on customer satisfaction instead of shareholder profits. Assurity has the distinction of being recognized as a certified B Corp.
Can Leap Life tell me how much life insurance I should buy? The Leap Life online quote process takes just a few minutes and doesn’t require any personally-identifiable information so you won’t be getting flooded with sales calls. You get your free price quote instantly. Get a FREE Quote now. What if I’m not satisfied with my Leap Life policy? Leap Life allows you to return your policy within 30 days of the effective date. You can also change or cancel your plan at any time without any hassles. What makes Leap Life a standout life insurance company? Leap Life offers flexible, high-quality service whether you buy a life insurance policy online or over the phone. 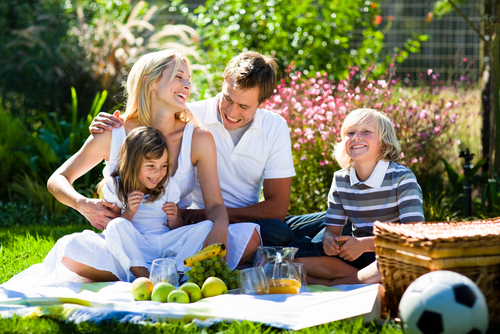 The advantage to using Leap Life is you will get the right life insurance coverage in as little time as possible. Finding the best life insurance provider for your needs can seem like a daunting task and getting the wrong life insurance policy can mean paying hundreds of dollars more per year than you need to, which could mean thousands of dollars extra, over the life of your policy. According to research, about 80 percent of Americans spend at least 50 percent more than they need to for their life insurance policies as a result of choosing the wrong life insurance company. You don’t want to be part of this statistic, and that’s where Leap Life Insurance can come help save you money. Let’s take a look at Leap Life’s key features to see if it can benefit you and your family. The company’s primary goal is to match consumers with insurance policies that perfectly suit their needs from some of the top-rated life insurance companies across the USA. You can use the Leap Life online platform to find the most competitive life insurance rates to help save you money on your insurance coverage. Once you provide the required information, the insurance agency compares life insurance policies from a variety of insurance companies and allows you to choose the best policy to meet your family’s specific needs. Leap Life offers a fast approval time and has an A+ rating from the Better Business Bureau. This needs calculator can assist you in determining exactly how much insurance you need to protect your loved ones. You get to benefit from only life insurance as the policy doesn’t involve any build-up of cash value. This is one of the best life insurance policies for people below 30. You should realize, however, that Leap Life offers level term life insurance policies that are convertible to permanent life insurance protection which lasts your entire lifetime. A convertible policy means that you can take your term life insurance policy and "Convert" it to a whole life policy. The advantage is, if you get to the end of your policy term, or you have a life situation change, you can make that policy permanent without having to go through underwriting. Namely, it is not possible to convert the policy into awhole life policyat some point in your life. While whole-life insurance policy is not one of the best investments, it can be beneficial when it comes to estate planning. Leap Life uses your answers to determine your likelihood of getting approved for the policy you are looking for and at the most affordable prices form all the available insurers. Who Qualifies for Leap Life Insurance? You need to be between ages 18 and 75 to be able to apply for Leap Life insurance. Term policies usually come in increments of 10, 15, 20 or 30 years of coverage. Since Leap Life can connect you to a variety of insurance options, it's advisable to go through the quote process to see the pricing options available to you. It is also worth noting that death benefits for term life coverage normally range from $250,000 to $5,000,000. However, some carriers associated with Leap Life may fall out of this range. Moreover, policy extras such as term to permanent conversions may also vary based on the specific life insurer. Leap Life chooses the insurance providers with the most competitive rates and the best financial strength ratings. That is manifested by the list of Leap life affiliates that includes the industry frontrunners like Pacific Life, Assurity, and Protective. The fact that Leap Life offers life insurance policies from different carriers, additional riders will depend on the insurance provider you choose. Carrying a rider that you don’t need can add unnecessary cost to your policy. It is advisable to take your time to understand the additional insurance riders, as well as consult with Leap Life, to ensure you choose an insurance policy with the right rider that suits your specific needs.